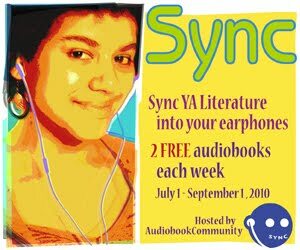 Generous audiobook publishers are partnering with SYNC again to offer a terrific schedule of FREE audiobooks to download and enjoy this summer 2012. Mark your calendar so you will not miss a week. As usual, their pairings are thoughtful and interesting. Go to SYNC for more information.